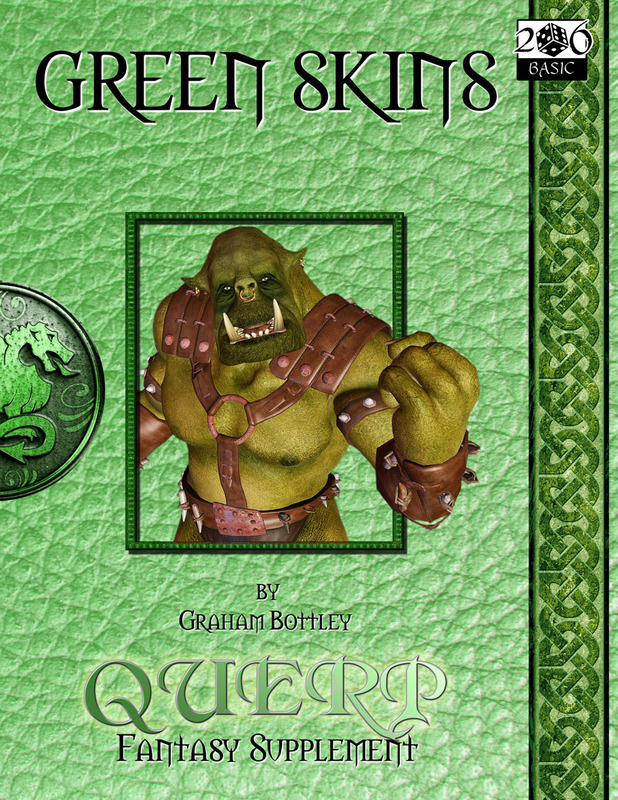 QUERP Green Skins is a special edition to the Quick Easy Roleplaying Game. Now you get to play the monsters and see things from their point of view. No longer are the orcs your enemy... now the fighters, paladins and clerics in an adventuring party are out to hunt you. You can be an Orc, Kobold, Ogre or just about any Greenskinned monster that you can think of. 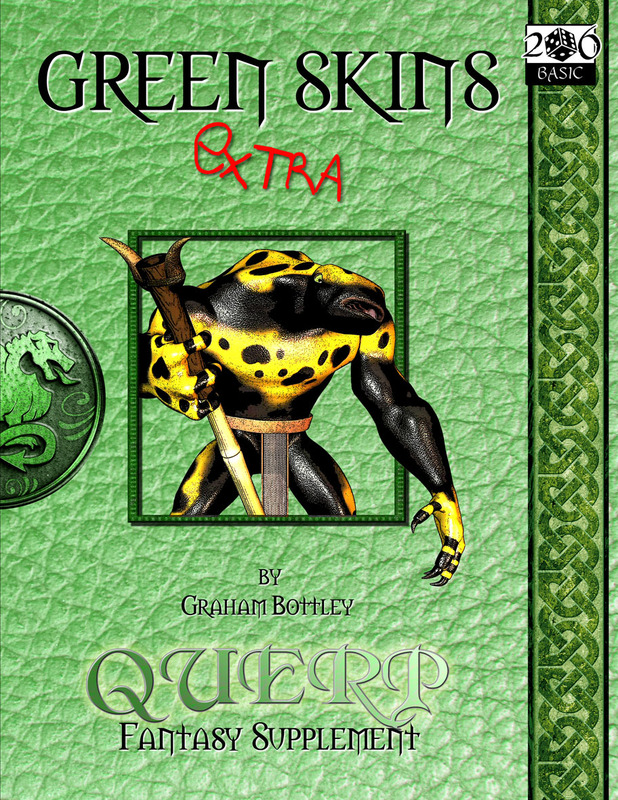 Greenskins Extra expands on the whole monster experience with new character races, such as frogmen. All content in this web page is © Copyright Greywood Publishing 2016, all rights reserved. Images are © Copyright Greywood Publishing or their respective owners. No part of this web page may be copied or reproduced without the express permission of the copyright holders.